The available toilet seats for heavy people don’t give us big men much variety these days. However, I’d much rather a toilet seat that can withstand my heavy weight limit then to have no products to choose from. So today we are going to look closely at 3 oversized toilet seats for overweight people. Now there isn’t a whole heap of information to share when it comes to finding a suitable toilet seat. 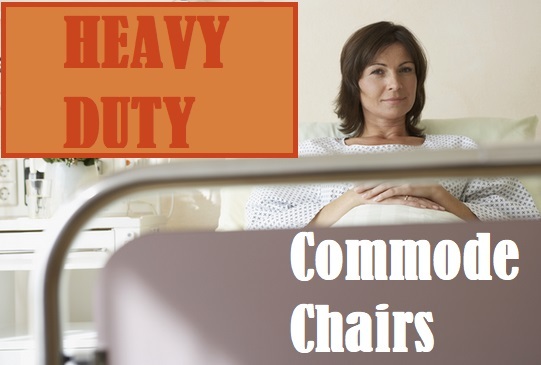 Obviously they have to be heavy duty and can handle a fair amount of weight. This is also applicable to your actual toilet. What is also important to me is how much the actual toilet seat slides around. I hate it when that happens and you think your going to end up breaking it. So I’ve managed to narrow down the main contenders to just 3 suitable toilet seats for us big guys. A well known Company in the field of big and heavy people’s toilet seats are by Big John. 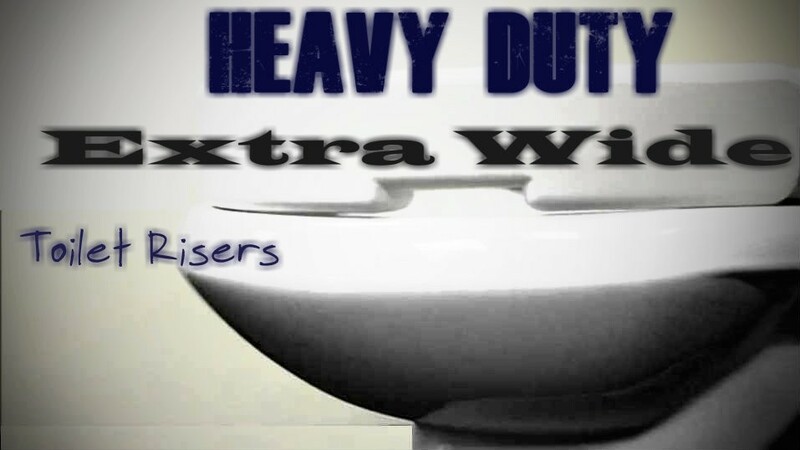 My preferred big man toilet seat is this Bariatric Heavy Duty 1200 pound weight capacity toilet seat. This seat can actually fit both round and elongated bowls which is quite handy. Another appealing aspect to this toilet seat is that it actually sits 2″ higher then the normal seats. Which is like a prayer answered. It’s an absolute nightmare to try get down to some real low toilets. This seat actually grips to the toilet bowl which therefor creates a non slip product. The seat won’t slide around on you and won’t give you the feeling that your going to break this thing. 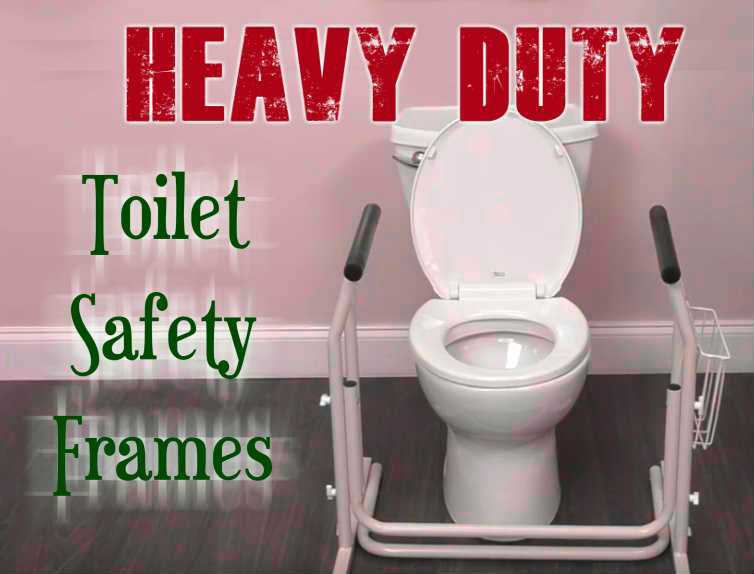 The fact it’s a very heavy duty seat as well will give the bigger folk much more confidence on the toilet. Again it is rated to a massive 1200 pound weight capacity by the manufacturer. The only issue I see many consumers having with this seat is the price tag. It may be a little hefty, but as we all know…The things for the big and heavy always cost an arm and a leg more. But for the price you pay, your getting that satisfaction of knowing you can confidently continue on with life’s essentials. What’s the best seat in the house?. The toilet of course, everything important happens on the Loo so lets enjoy it. Again, Big John strikes with this toilet seat for larger people. Like the 1200 pound capacity seat, this seat is made in the USA. Both of these seats boast the bigger than normal sized seats. With dimensions of 19 inches from front to back and from either side also. However this big toilet seat is more affordable compared to it’s bigger hitting Brother. It’s extra wide for our bigger you know whats, and appears more sturdier and stronger then then standard seats. Overall this 800 pound capacity toilet seat by Big John is our household favorite and I’m sure will start to infiltrate toilets near you at any given time. The 3rd toilet seat for bigger people is made by American standard. Do note that this seat is only for elongated toilets bowls and is the seat only. So no toilet seat cover comes with the seat. Hence why it’s usually the cheaper option. This seat is often found in many popular Malls, so next time you’re out shopping take a glimpse at the Mall’s toilet and see for yourself. I have back disorder and I am 34stones so twist on the seat in need a very heavy duty seat.I have broken 5 seats and now I don’t use a seat. I’m looking for a padded toilet seat that is extra large. Do you know of anyone that makes one? Sorry for the late reply, but I have found it difficult to find padded risers over 16 inches wide. Maybe some readers may have some suggestions?. The other option is to use a padded toilet chair. Something like the model by Eagle Health Supplies which has a larger seat and a bigger opening than most risers I have seen. Plus the hand rails area god send. But due to the size of them, they may not suit all bathrooms. You say the Eagle has a bigger opening than most risers. Is this opening larger than standard toilets, enuf to get the hand in the back to wipe? The inside of the toilet seat measure 10 inches. The cut out hole measure 14″ long x 3.25″ wide at the front and 7 inches wide at the maximum. Hope this helps. Where can you find a large capacity toilet bowl for very tall people? Hi Kathryn, becasue you are tall a 5″ seat riser with a higher weight capacity may be all you need. The one by Carex is on Amazon which is a 5″ riser and has a really easy to use lock in system. I would recommend checking out that model. It only have a weight capacity of 300 lb I need one around 400 lb do you know of a riser or even better a high-rise. Stainless steel toilet seat with toilet stainless steel hinges to stop the cracking from twisting and turning the white? They are designed for toilets, so I would assume you need a commode chair for what you are describing?. I I am looking for a steel stainless steel toilet seat with risers on it if possible? I bought several Big John toilet seat and they last for a year or so and even though the hinges or heavy duty metal they’re connected too heavy plastic and eventually the twisting and turning crack stem so I need a stainless steel toilet with stainless steel hinges so the twisting and turning. The breaking and cracking issue does anybody know where to find one like this? Any help you can give would be appreciated. God bless you all. Looking for a big seat riser. We have a big John toilet seat. Looking to get a few inches higher to match the height of his power chair. He has trouble getting back into his chair because of the height. Hi Deb, do you have the Big John that is 19″ wide?. If so you will need a riser that caters to the extra width. In this case I would have a look at the AbbelWare Tall-Ette found here on amazon. The weight capacity you need will determine the price as this riser has different legs to support heavier weights. I would suggest the 600 pound capacity riser which has steel legs. The opening is quite wide and the total width is 22.5″. So should be a good fit for the Big John. Hope this helps.